When was the last time you received a simple note in the mail from a dear friend? I don't know about you, but most of the time my mailbox is filled with bills and junk mail. A simple note is a sweet reminder that someone was thinking about you. Someone actually set aside time and wrote a few words that brought a smile to your face. Often times, when writing letters to our Compassion kids, I have spent a lot of time wondering what to say and what to send to them. I think we make things more difficult than they really need to be. A simple reminder that God loves them, that we are praying for them, and that we made the time to mail a letter to them is all that is needed to bring a smile to that child thousands of miles away from us. I had to crop this image down to add it to the photo page. But the message of the image is the important part of that simple reminder, God has created each one of our Compassion kids for a special purpose. 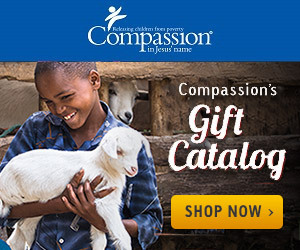 What simple reminders do you share with your Compassion sponsored children?